7 Days, 3 Ingredients, 1 simple way to give back. This week marks the kickoff to the 3rd annual Negroni Week brought to you by Imbibe Magazine. It’s a week in which we celebrate one of the worlds greatest cocktails in an effort to raise money for charitable causes around the world. A tradition that began in 2013 with about 100 bars participating has now grown to over 1300 bars and last year more than 120,000 was raised for charities. How Does A Participating Bar Report Donations: Shortly after Negroni Week concludes you will receive a simple sales and donation form via email from Imbibe Magazine. This form must be returned to Imbibe no later than June 30, 2015. This information will be 100% confidential, and we will not publicize details about what you raised unless we have your permission to do so. Receiving this report from you will allow us to determine how much we all collectively raised during Negroni Week. It will also help us determine which bar has raised the most money during Negroni Week to qualify them for Campari’s $10,000 charity donation. Once we receive the donation reports, we will also be randomly selecting one participating bar to receive a $1,000 donation to their chosen charity. It’s that simple. 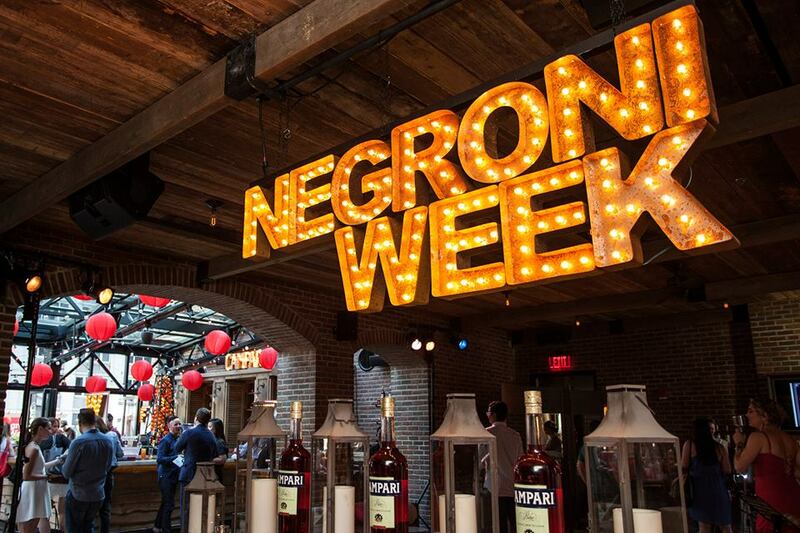 If you’ve still got some questions feel free to visit www.NegroniWeek.com and contact the sponsors and don’t forget, If you find yourself participating make sure to check out the hashtag #Negroni & #Negroniweek on Instagram and Twitter to stay in the loop and see some amazing Negroni cocktails.